Change is a tough but common problem for leaders in dynamic markets. Even when the likely outcome is good, people often resist change. Resistance can hurt their opportunity for growth and success, yet people still resist change. Just say the word “change,” and people dig in their heels. We all like the familiar and the routine, and many of us are not enthusiastic about new ideas. In our view, people don’t resist change as much as they resist what they face in going through it. They hate the chaos that ensues in moving from the present to the future. They often see change as pain, uncertainty, fear, additional work, new roles, and changed responsibilities. Leading a team through change requires a huge amount of energy, unwavering focus, and relentless persistence – and almost always takes longer than we expect. As leaders, our objective is to minimize the chaos and dial down the intensity people feel about change, yet remain focused on the end result. When your team goes through change, they typically experience four stages as they move from the old to the new. The first stage is denial – the team cannot believe change is actually going to happen. Anxiety, shock, and confusion are common. Our most effective leadership response is information – communicate, communicate, communicate. Give your team as much information as possible in the earliest stages. It is hard to over-communicate at this point. The more information we give, the better positioned the team is to effectively accept and process what is happening. Once the team accepts that change is real, emotions run high – anger, fear, frustration, and a strong sense of loss. This is normal. As leaders, we should offer as much support as we can. We should listen and be ready to respond to questions, and be intentionally and personally supportive. Allow team members to ask open-ended questions, and remind them to take nothing personally. Over time, the team will move from an emotional response into a transitional stage. They may wonder about the coming change, perhaps be a bit impatient about getting it over with, and even begin to accept the idea that change is here. Our most effective leadership response at this point is structure. We should communicate with absolute clarity the team’s new roles and, responsibilities, whom they are reporting to, what they are accountable for, and new policies and procedures. Structure helps people find their footing and enables them to regain their stability in the new order. Eventually, the team will move to the fourth phase, performance. They will start to embrace the new order and view it as a fresh start. They may feel relief, enthusiasm and, if we have helped them navigate the journey well, a higher sense of trust. Our job as a leader now is reinforcement – through feedback, recognition, celebration, and motivation. Focus the team on new goals and get them moving forward toward new accomplishments. By leading a team in a structured, purposeful way, you can reduce the length and depth of the chaos they will feel. The team will be more effective in its new world. And we, as leaders, will be ready to prepare for the next change, which is probably right around the corner! 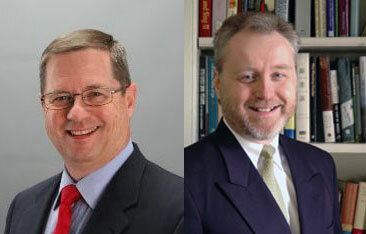 Rip Tilden and Tim Thomas are partners in a full-service management-consulting firm, Makarios Consulting. This article is drawn from their new book, Leading on Purpose: SageAdvice and Practical Tools for Becoming the Complete Leader.